Modernism is enhanced when landscaped open spaces for two new apartment towers replace a sea of parking. Maintaining the contextual design restraint of the original I.M. Pei buildings, the site reclaims its focus on living in an urban setting. Waterfront Town Center is a part of a larger effort to redevelop Southwest DC as a thriving neighborhood. 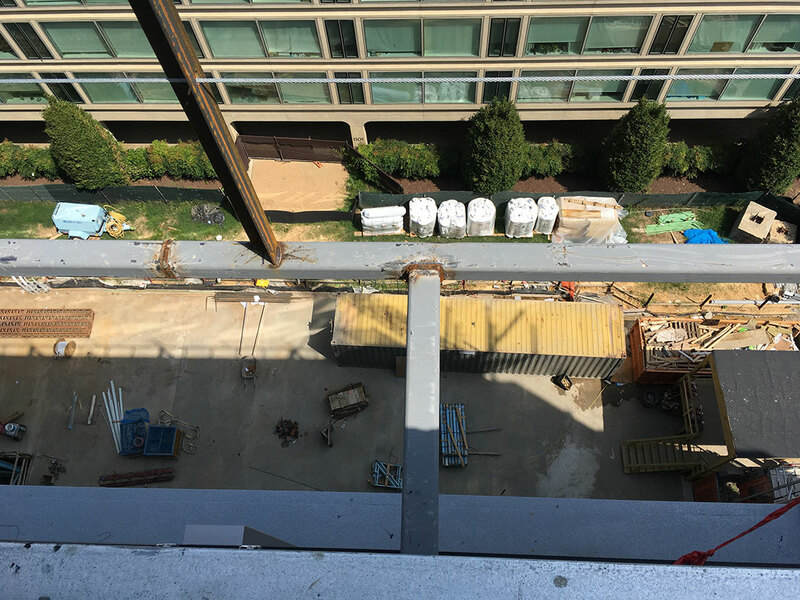 The project ties into the ongoing waterfront redevelopment at the water’s edge which creates a park-like setting along the Potomac River just east of the Tidal Basin. The site’s two existing IM Pei apartment buildings located on this 4 acre block floated in a sea of surface parking. Two additional IM Pei towers bookend the mixed use commercial development at the center of the mega block. 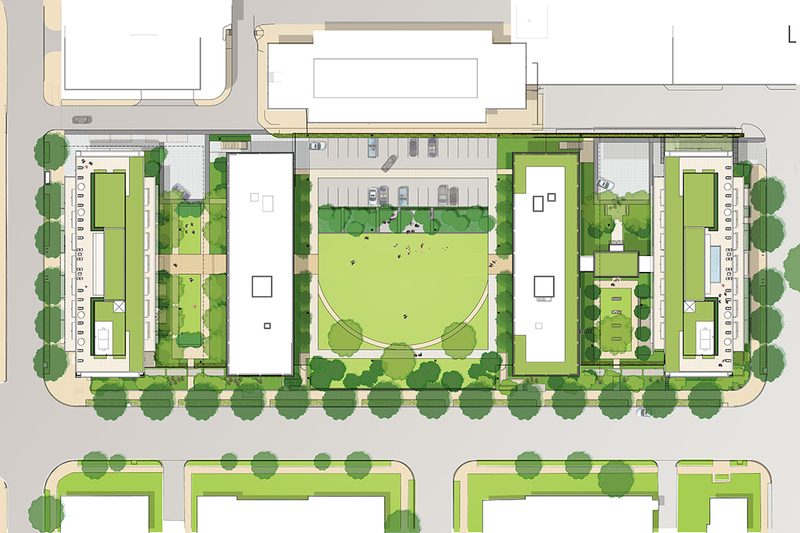 Adjacent neighbors include residential communities to the east and south, the mixed use development to the west and a community library to the north. The Arena Stage, the Nationals Park and the Waterfront Metro Station are within a few blocks of the site. The landscape expands on the modernist aesthetic of the Pei buildings and site design. The site is reconfigured to accommodate two additional apartment towers. Parking is moved underground and open space maximized. The building overlooks one large central courtyard and is flanked by two smaller gardens. The central courtyard is designed as a multi-use outdoor space for the residents. The spaces between the existing and new apartment buildings accommodate drive courts and smaller courtyards and garden spaces. The new apartment buildings include a fitness facility, rooftop pool, dog run, party spaces, and green roofs and terraces. The streetscape is strengthened with London Plane trees on all sides. These trees are also planted along the east side of Third Street to create an allee, consistent with those already in the neighborhood. Native plants are used throughout. Hardscape materials are reminiscent of the Pei site walls and paving. The project will be GAR and LEED certified. The project was designed in conjunction with Maurice Walters Architect.